More photos from the civil works taking place to facilitate the installation of the power cabling from the substation to the NE5 Datacentre in Newcastle upon Tyne. 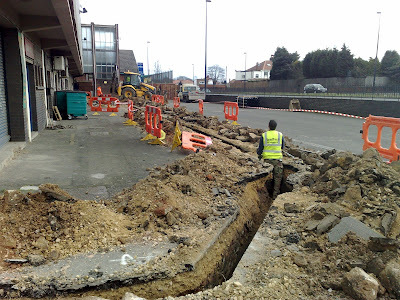 Top shows on-site works by our Civil Engineering Contractor Roadtech in the rear car-park. 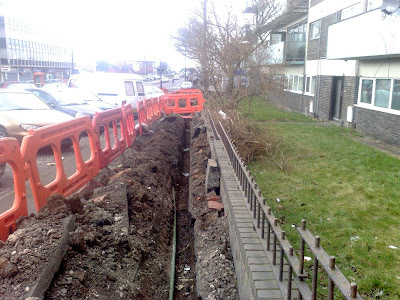 Bottom shows trench works about 100 yds up from the site.